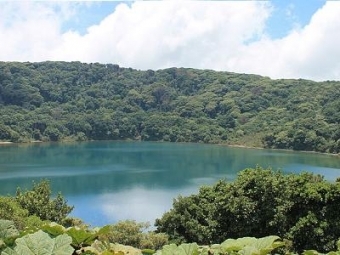 Climate change is a priority in Costa Rica’s national policy. The country has been actively involved in UNFCCC initiatives since the mid 1990s, particularly in projects that generate carbon credits, and has more recently developed several mitigation projects under the Clean Development Mechanism. The country’s national climate change strategy consists of six strategic areas (mitigation, adaptation, metrics, capacity building, public awareness and education, and financing), with the common goal of mainstreaming climate change policy in line with the national strategies for achieving long-term competitiveness and sustainable development. A key target is to achieve carbon neutrality by 2021, by strengthening efforts to achieve an economy that is less fossil-fuel-intensive and to reduce GHG emissions. These efforts are part of a broader approach based on sustainable development, integrated within the Peace with Nature Initiative. This initiative, based on the country’s historical tradition of conservation and protection of natural resources, is aimed at creating suitable conditions for sustainable development, and integrating the environment (natural capital) into the long-term equation of economic growth and human development. In Costa Rica, climate change policy is a priority in its national development plan, because of its potential implications for competitiveness, economic growth and human development. Forest conservation, environmental services’ payments, and REDD activities have significant potential for expansion, with competitive abatement costs. Many actions are required in the energy sector, related mainly to the modernization of public transport. Cost varies depending on the initiative, with many measures generating net mitigation benefits (negative costs) and important emission reductions. The economy’s energy productivity must increase, with more efficient processes, upgraded technologies, reduction of waste and investment in renewable energy sources. Preliminary estimates of abatement costs indicate the need for a radical change in public policy and business strategy. Significant investment is needed to reduce emissions and achieve carbon neutrality by 2021, which requires both public and private action. The creation of a carbon neutral business environment is a government responsibility, but demands innovation and funding from private companies. Many mitigation options have upfront costs; hence, the creation of targeted financial instruments is required. In addition, mitigation planning, together with effective emergency response strategies and mechanisms, should have proper financing and be closely coordinated with key actors in the public and private sectors and the community. La implementación de una política nacional va de la mano de realidades diversas, que ameritan un discurso claro y sencillo de lo que implica el Cambio Climático. Siendo así, debemos promover una dirección clara en temas medulares de la sustentabilidad, cosa que a veces es difícil. Se camina, pero la gobernanza difiere del discurso, por lo que se debería ser más realistas de las posibilidades. The implementation of a national policy goes hand in hand with diverse realities, which merit a clear and simple discourse of what Climate Change implies. Thus, we must promote a clear direction in core issues of sustainability, which is sometimes difficult. You walk, but governance differs from speech, so you should be more realistic about the possibilities.